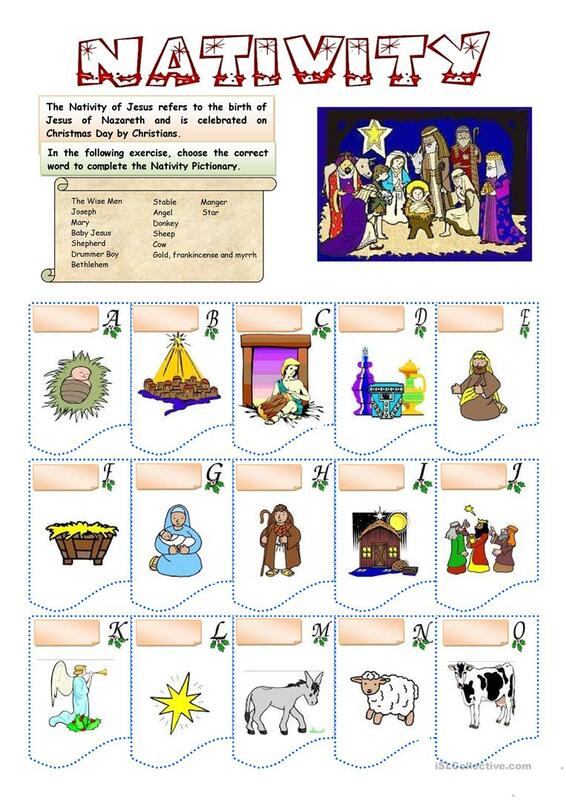 A worksheet to teach the Nativity Vocabulary. The present downloadable teaching material is intended for elementary school students and kindergartners and nursery school students at Elementary (A1) level. It centers around the topic and words of Christmas.